People say love hurts and there's no doubt about it. Same happened with Nick Jonas who has suffered from love ache after a tough split with the American actress Olivia Culpo. It sounds as if he is trying to come out of the painful memories of his love life. The former couple spent two years of togetherness and spilt in the beginning of June this year. Having parted ways with the 23yrs old beauty queen, Nick shows as if he is okay with it but his recent statements on media seemed to be revealing some other story. The American singer spoke of his breakup for the first time to one of the entertainment magazines. "It boiled down to work commitments after some time.” He said he was doing OK though it was very much difficult for him. They had a striking two-year relationship and Nick has nothing but love and respect for his ex. 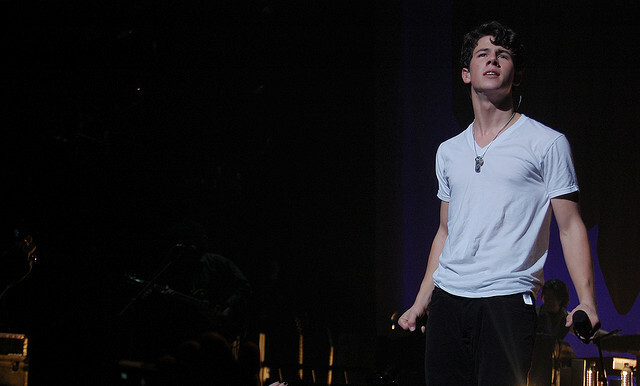 Nick believes that it's always tough; and he now is focusing on his music. The 22 yrs old star is trying to stay as busy as he can and as creative as he can be. "These are the moments, you've just got to throw caution to the wind and lose your way in your work and that's what I'm trying to do," Nick admitted. Nick now decides to fully focus on his work. After sibling band Jonas Brothers closed in 2013, the singer is being applauded as both a solo composer and an actor at the same time. His success can be seen with his single ‘Jealous’ that was charted across the world for the singer once told it was about Olivia. He never knew that it would be once become harder for him to listen that song from his second album. Whatever went wrong with their love life but the songwriter feels satisfactions with his standing. "I was so honest throughout the relationship." He said. Nick has regrets for being private with his relationship in the past. He says it was something that makes your relationship very challenging. He tried to hide his relationship on several points and did things to keep it in personal but now he believes that it all caused more stress on his togetherness. He admits while he was open and publicly in romance, there was so much comfort in that. “So yeah, I think it's the conflicting truly. But the part of a relationship is what makes everything harder afterwards," he moaned.